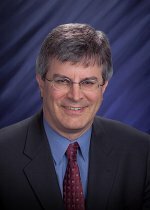 Congratulations to Doug Ray for his recent appointment to the National Academies' Chemical & Materials Sciences Roundtable. The CSR is a unique science-oriented, apolitical forum for leaders of the chemical enterprise. Its objectives are to facilitate enhanced understanding of issues in the Chemical & Materials Sciences and technologies that affect government, industry, academic, national laboratories, and nonprofit sectors, and the interactions among them. As a member, Doug will attend several annual meetings and organize workshops on highly relevant and important topics. The proceedings of the workshops are made available to the Chemical & Materials Sciences community and are designed to enable follow-up discussion or action by others in the Chemical & Materials Sciences community.